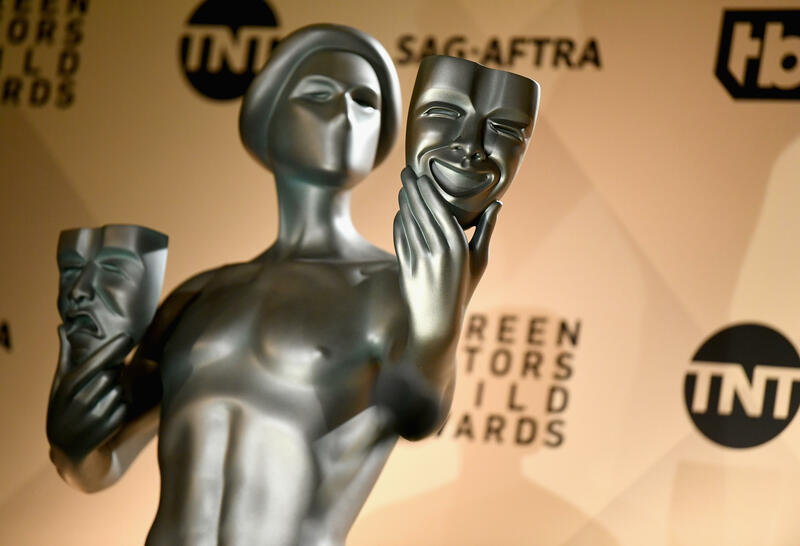 Awkwafina and Laverne Cox announced the nominees for the 25th annual SAG Awards on Wednesday morning from the Pacific Design Center in West Hollywood, California. "A Star is Born" led the film categories, with four nominations, while "The Marvelous Mrs. Maisel" and "Ozark" topped the TV categories with four nods each. SAG-AFTRA president Gabrielle Carteris welcomed Awkwafina and Cox to the stage to present the nominations. Cox joked that she was "only slightly jealous" of Awkwafina for her breakout awards. The two also riffed about their height difference, with Cox towering over the "Crazy Rich Asians" star. When Awkwafina learned that "Crazy Rich Asians" was up for an award for best cast, she joked, "It was all me." Jane Fonda, "Grace & Frankie"
The 25th Annual SAG Awards will air live on TNT and TBS January 27, 2019 at 8pm ET/5pm PT. Watch them on fuboTV. Start a free trial.